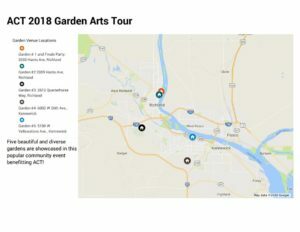 2018 Garden Arts Tour on Saturday, June 16th! 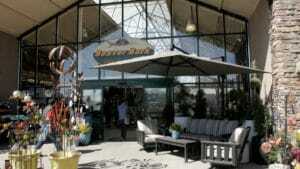 The tour will be from 9:00am-3:00pm, and then we are having a finale Garden Party event from 3:00-5:00pm. We have five fantastic venues this year, including the historic Mathias house at 2030 Harris in Richland. 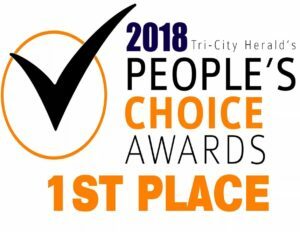 We also have a xeriscape garden with a pool-focused backyard on Harris; a non-grass Heritage style garden in Panoramic Heights; a beautiful European style garden in Country Ridge; and a grand dame formal garden in central Kennewick.